Your Central Arkansas Custom Home Builder and Remodeling Company. Custom home building is our passion - creating beautiful and comfortable homes that fit your family's lifestyle has been our focus for over a decade. Bret Franks Construction, Inc. is an owner-managed company, and we work directly with homeowners, vendor partners, and tradesmen which translates into a higher quality home within the desired budget. We have long-term relationships with our suppliers and trade professionals enabling these groups to create value and promote seamless quality for the homeowners. The true strength of our company is the team of professionals that create a superior custom home at an affordable price. We focus on the vision and lifestyle of each client, and Bret Franks Construction is ready to join you on your home building or remodeling journey. We've also had fun lately coming up with some really creative and special spots for pets and garden areas for our customers. We'd love to start brainstorming creative solutions for your lifestyle as well! We are currently building in Princeton Village in Conway, Wildwood Place in Little Rock (Chenal) and Waterview Estates in Roland. Call us today to learn more about our homes for sale in these great Central Arkansas neighborhoods at 501-680-1238. Check out our Facebook page to watch these homes come to life! We'd love to help you with your new custom home or remodeling needs. Stop by our Pinterest page to see more of our homes and what inspires us! Thank you for voting us to AY Magazine's "AY's Best" list again! 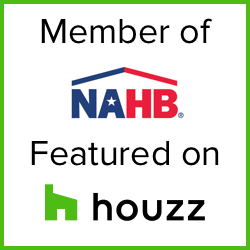 And, we are so excited to once again receive the BEST OF HOUZZ DESIGN and SERVICE awards for 2018! Bret Franks Construction is proud to be recognized as the Best of "Kitchen Remodelers" and "Home Builders" for AT HOME in Arkansas Magazine. Last, but certainly not least, we are humbled to be selected once again to participate in the Southern Living Custom Builder Program for the South's best builders.